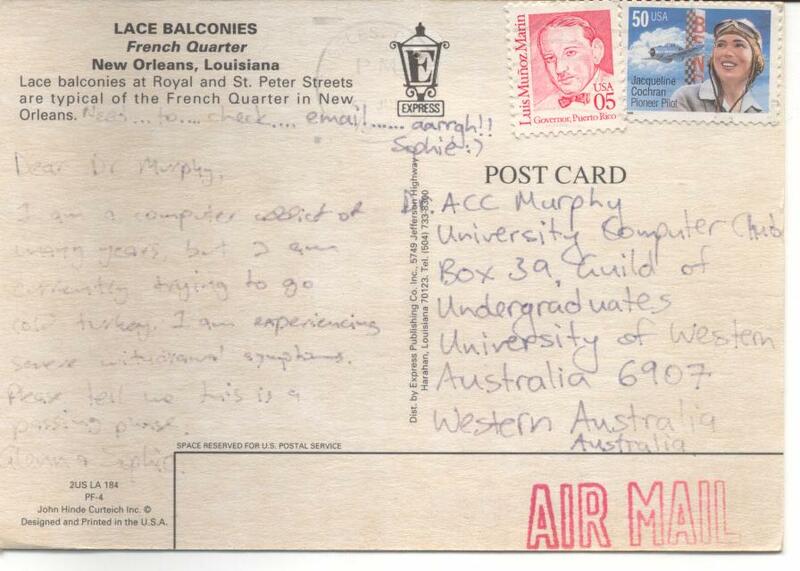 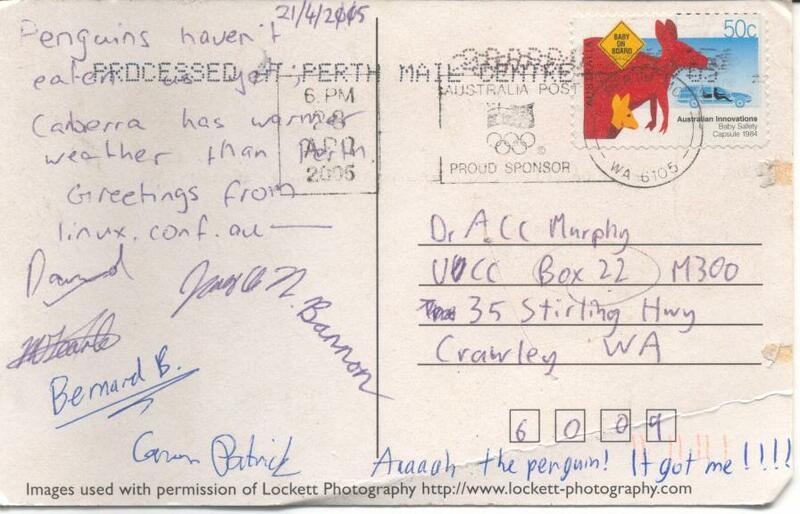 Ryan Lortie from McMaster University in Canada sent Dr ACC Murphy an offer too good to refuse. 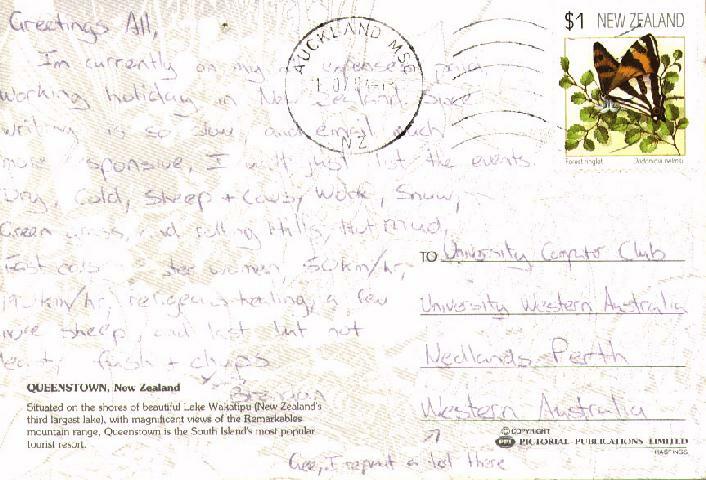 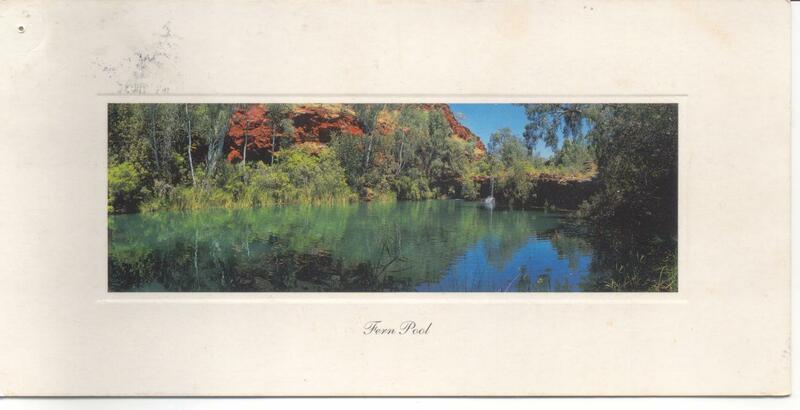 Cameron Patrick [CAM] sent a postcard while on his jaunt through the north-west of Australia. 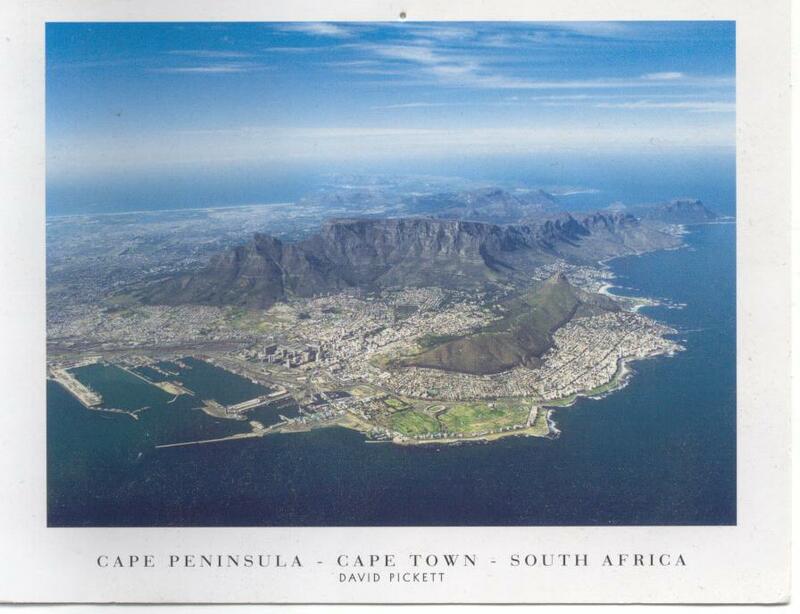 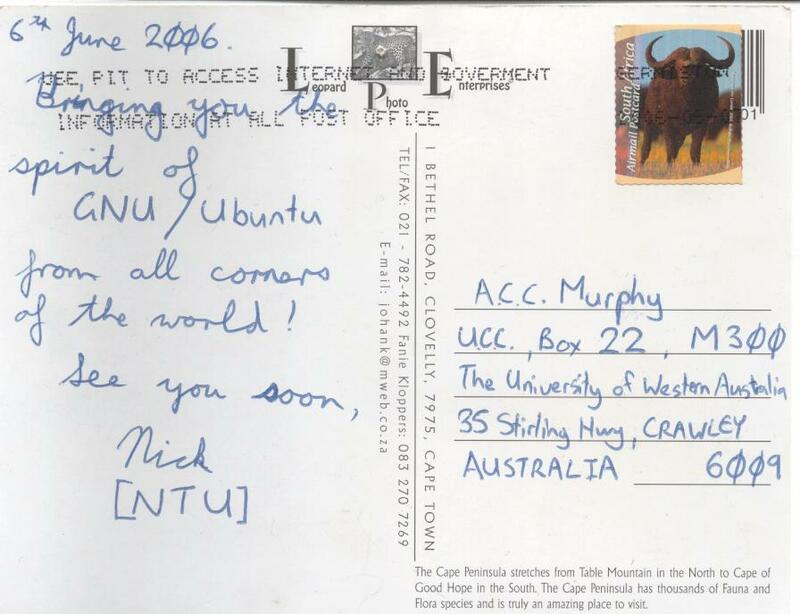 Nick Bannon [NTU] sent us a postcard from South Africa. 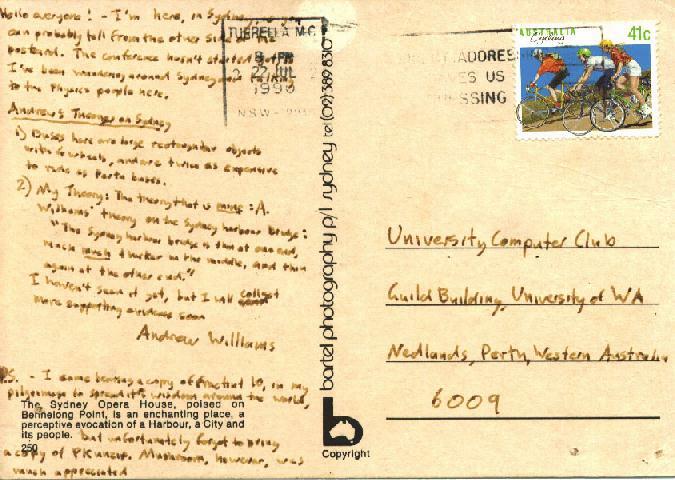 He even found a stamp featuring a gnu! 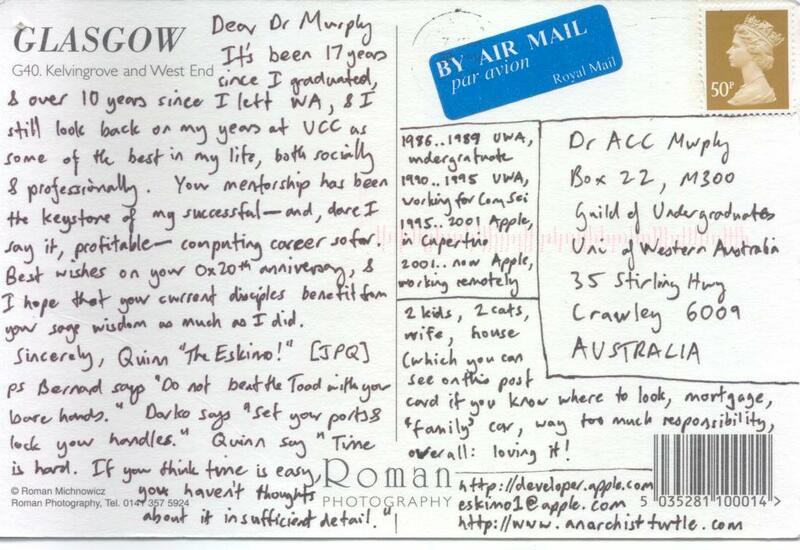 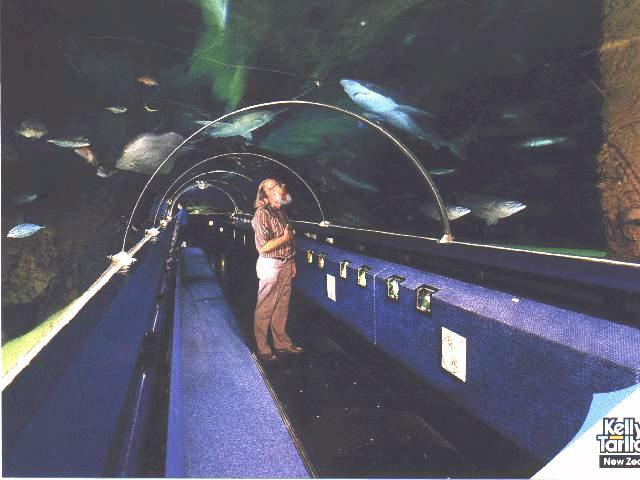 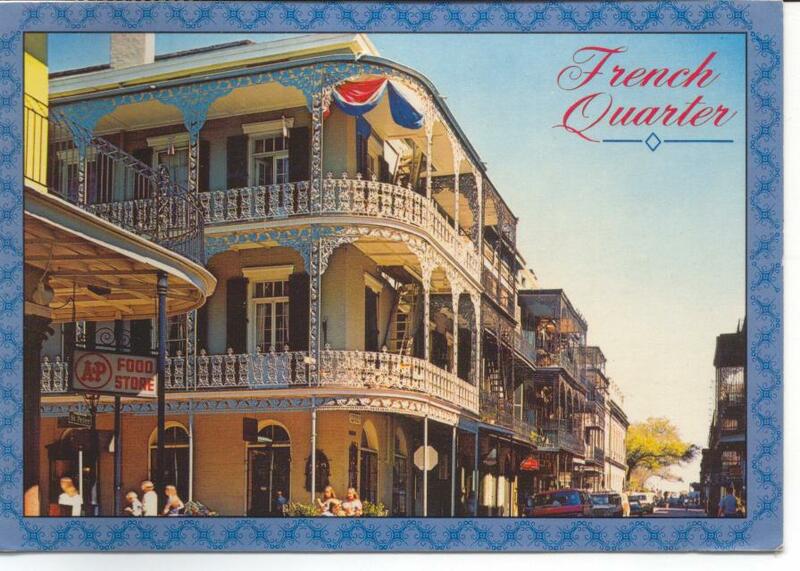 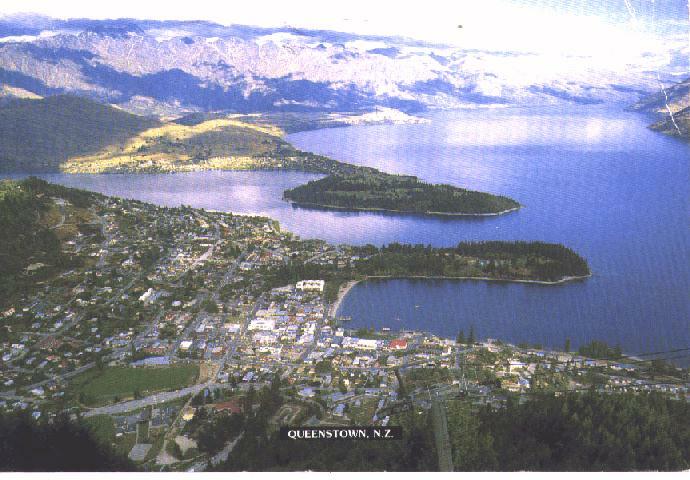 Quinn (the Eskimo) [JPQ] sent us a postcard for our 0x20th anniversary. 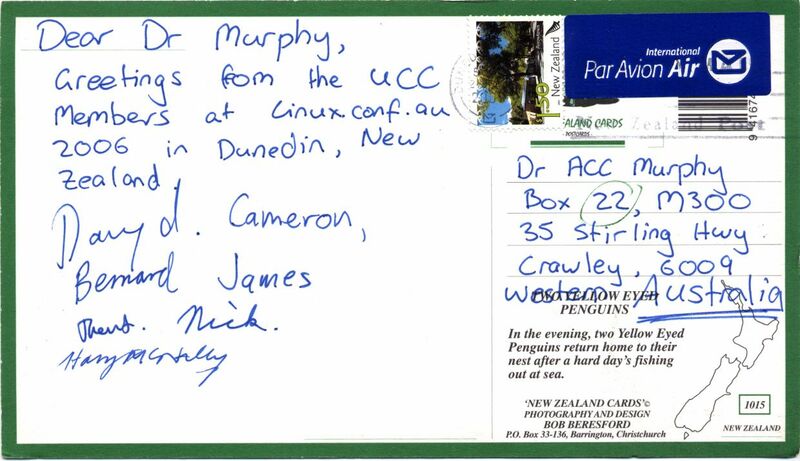 Peter Cooper [COM] also wrote to us for our 0x20th anniversary from the Kingdom of Tonga! 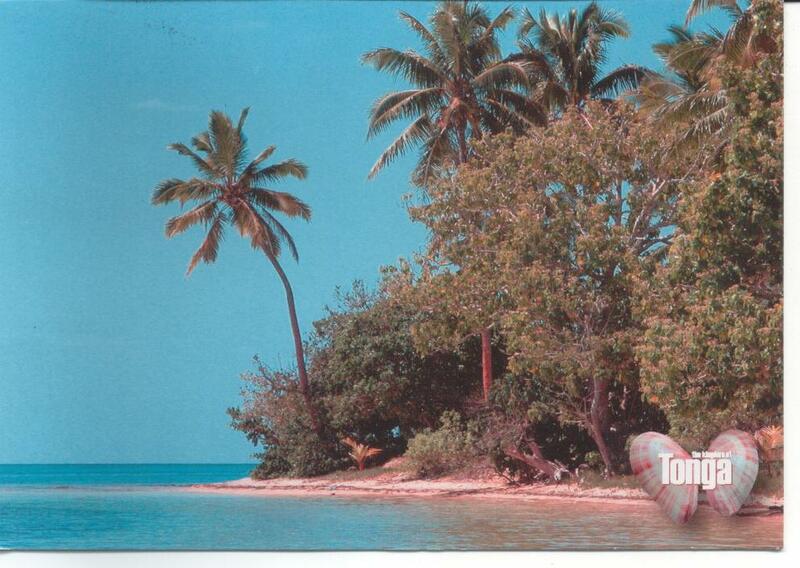 The Internet in Tonga is better than it was in Europe when he last sent us a postcard (see below). 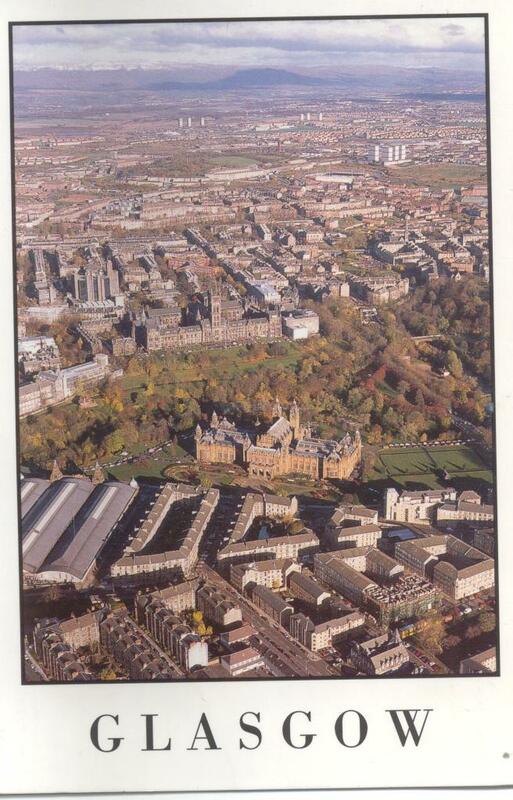 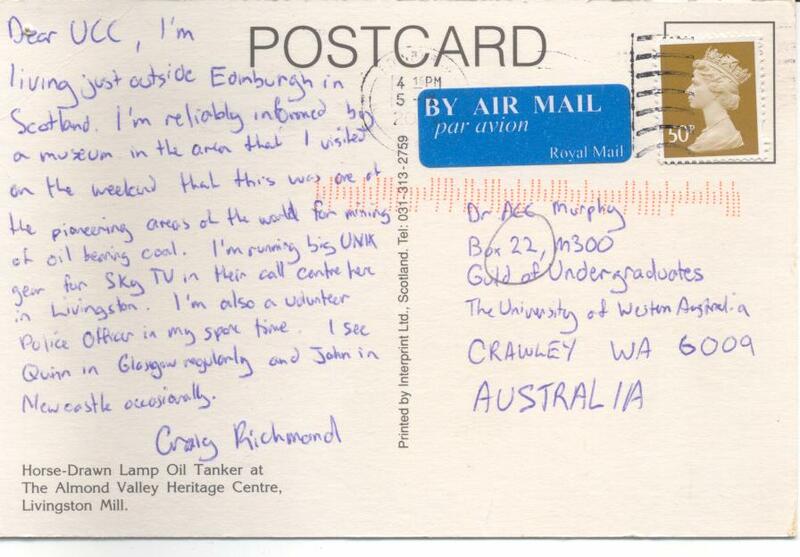 Craig Richmond tells us an interesting story about Edinburgh and lets us know what he's up to these days. 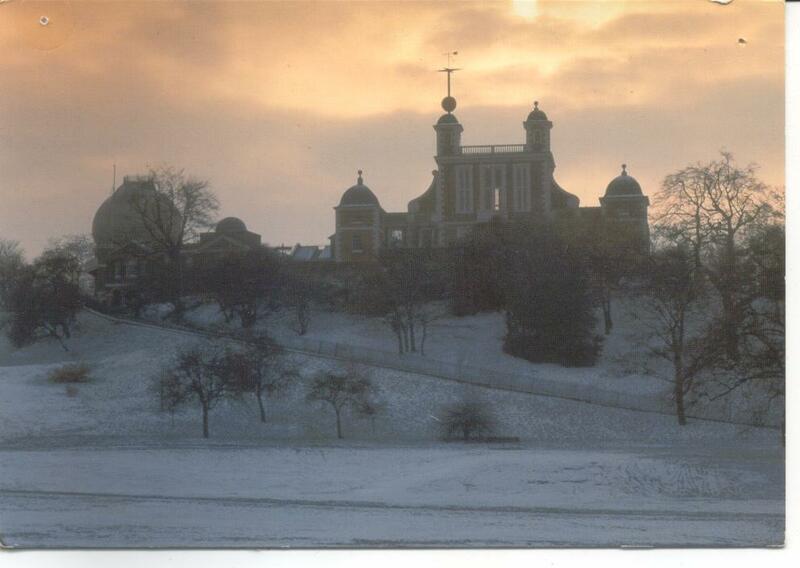 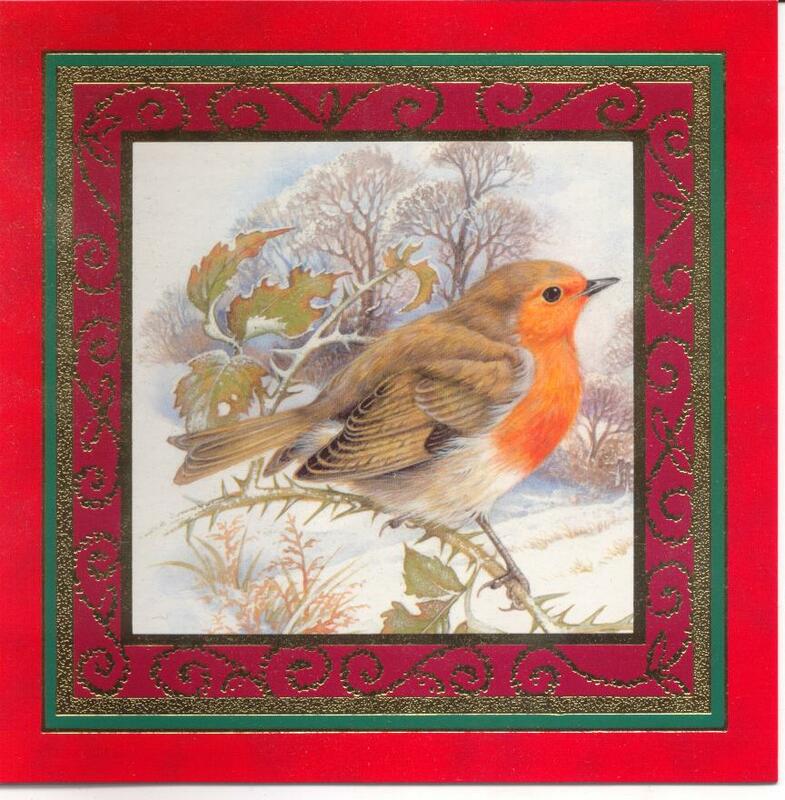 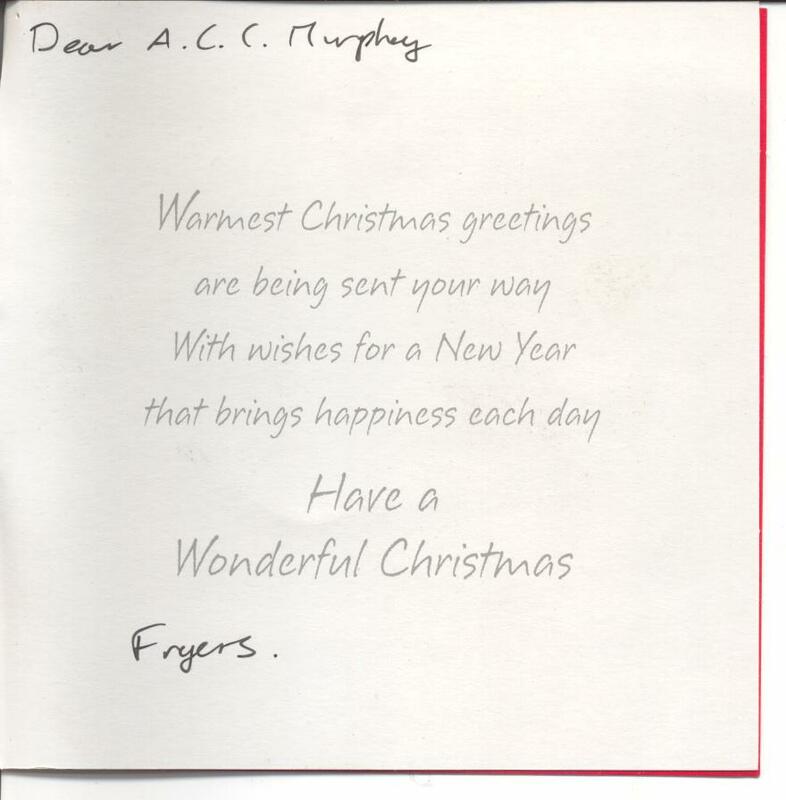 While not a postcard, ACC Murphy is on Simon Fryer's Christmas card list. 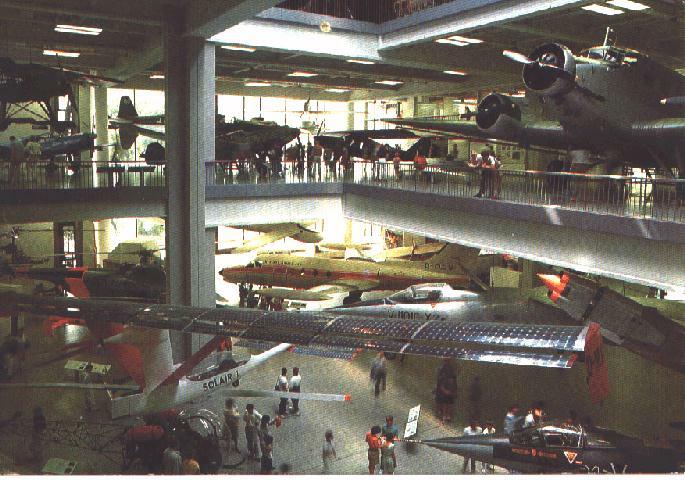 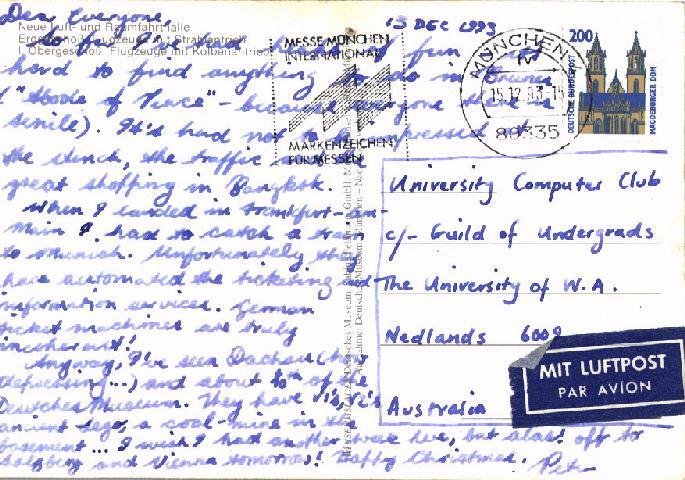 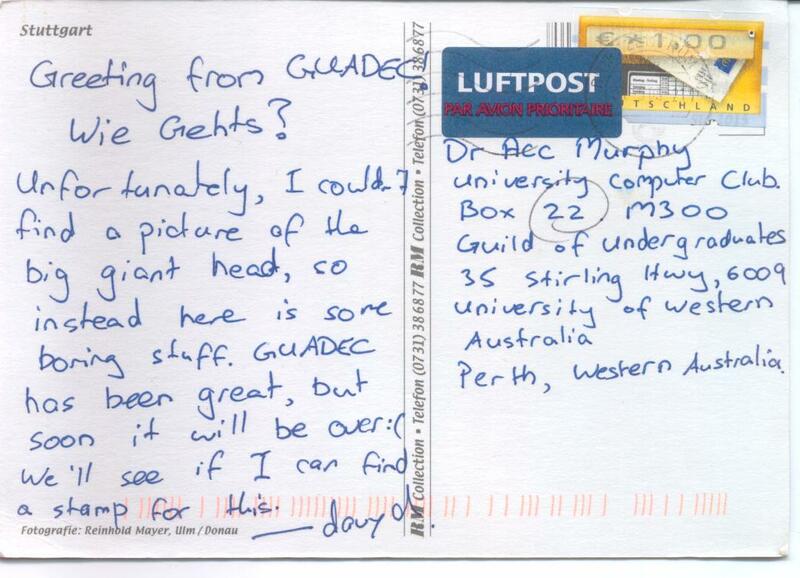 Davyd Madeley [PXY] was in Stuttgart for GUADEC and remembered to send a postcard to the club. 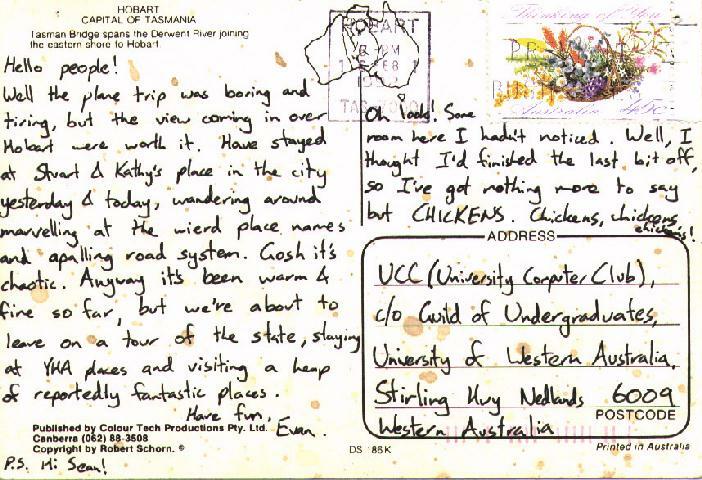 A postcard from Glenn and Sophie. 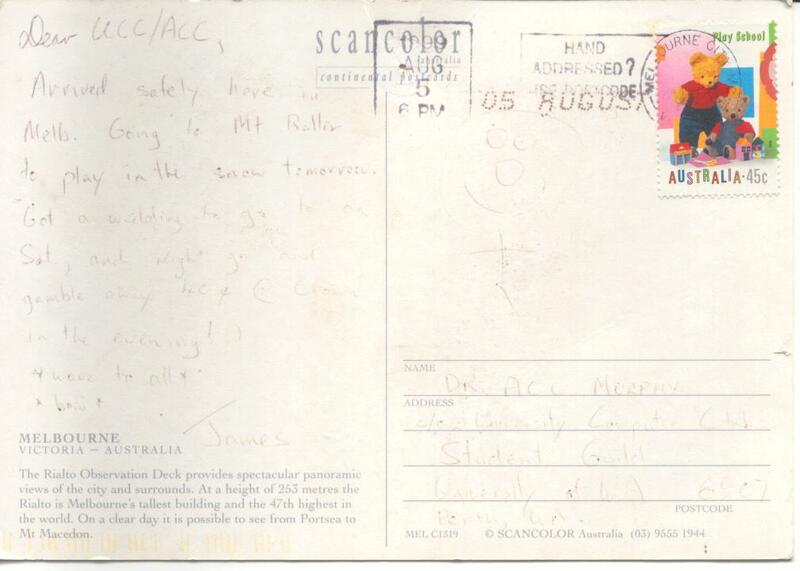 It's faded because it was on our wall for a long while before being scanned. 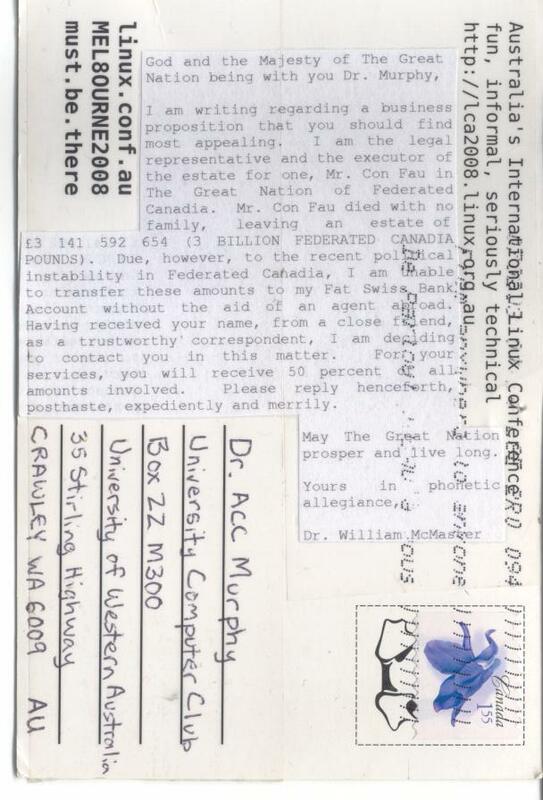 Not sure when it was sent, note the old address. 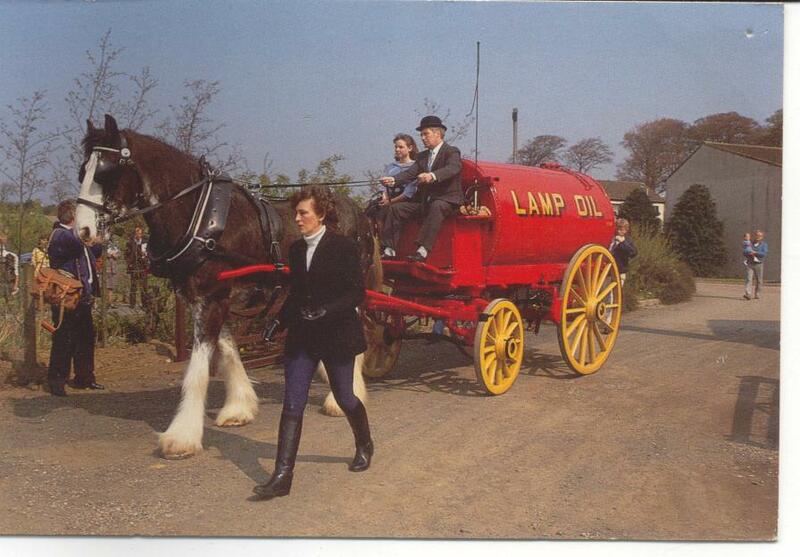 James Bromberger sent us this after he moved to England. 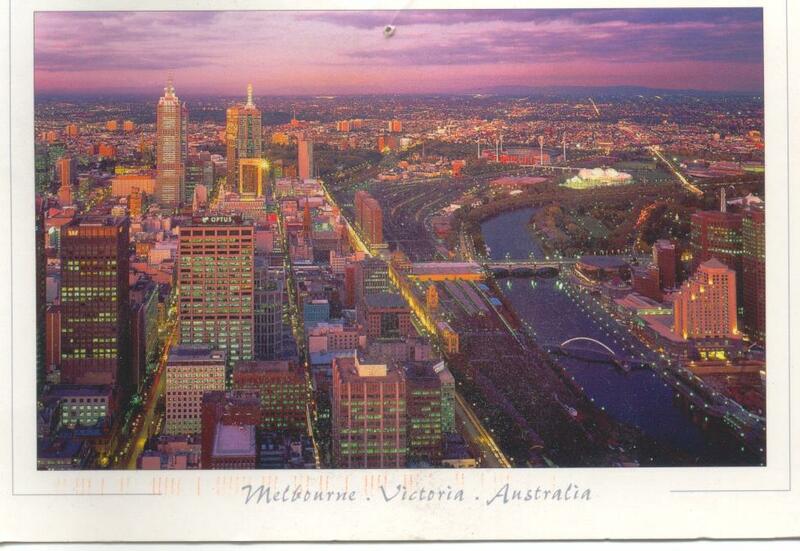 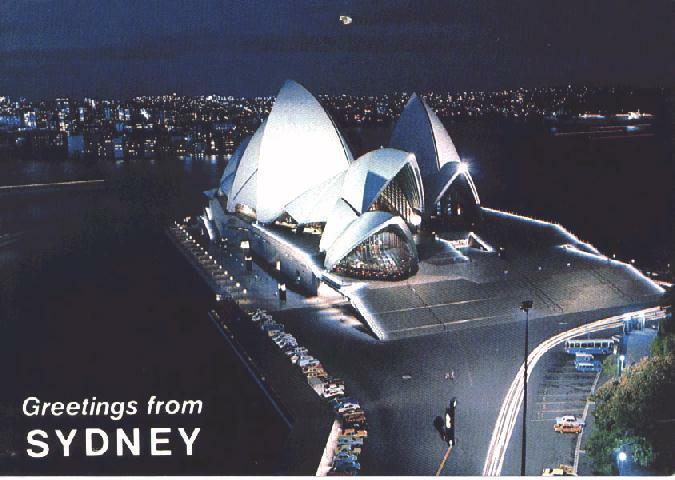 One of our many Jameses (not sure which one) sent us this postcard from Melbourne. 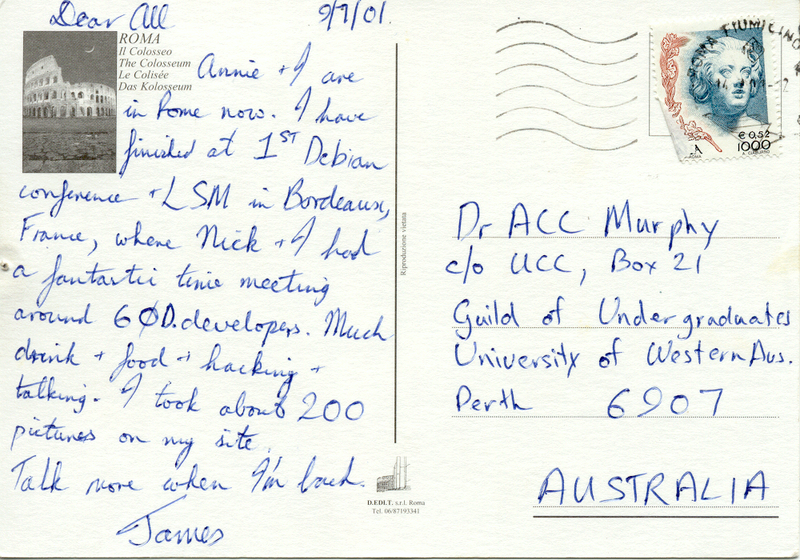 It's quite faded because it's been on our wall too long without having been scanned (postmark is 5th August 1999). 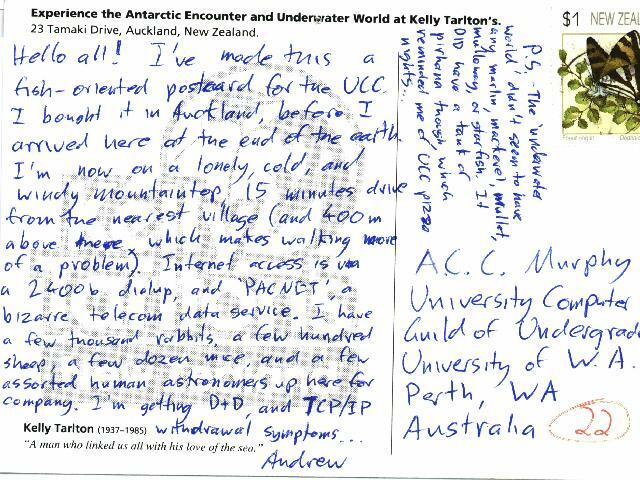 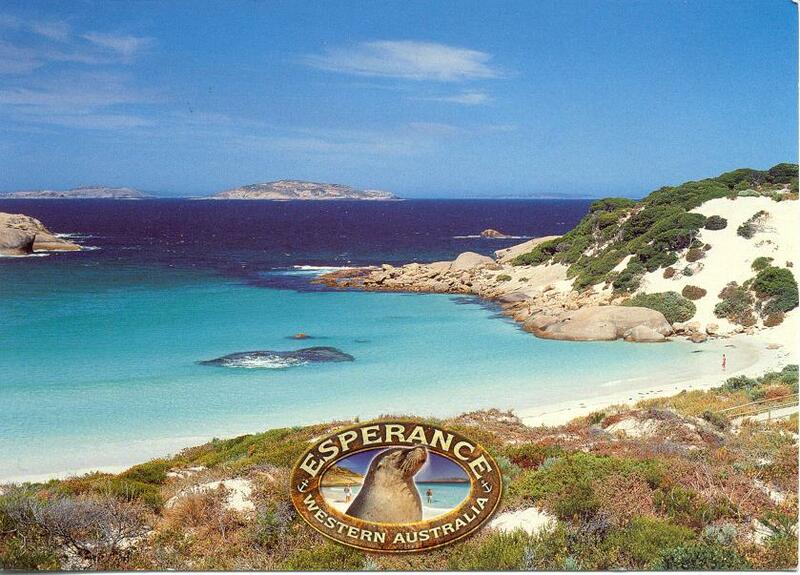 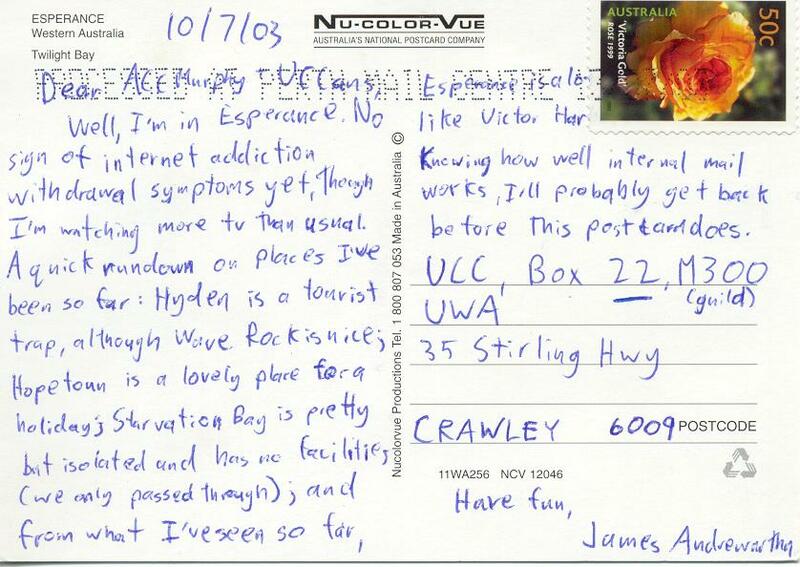 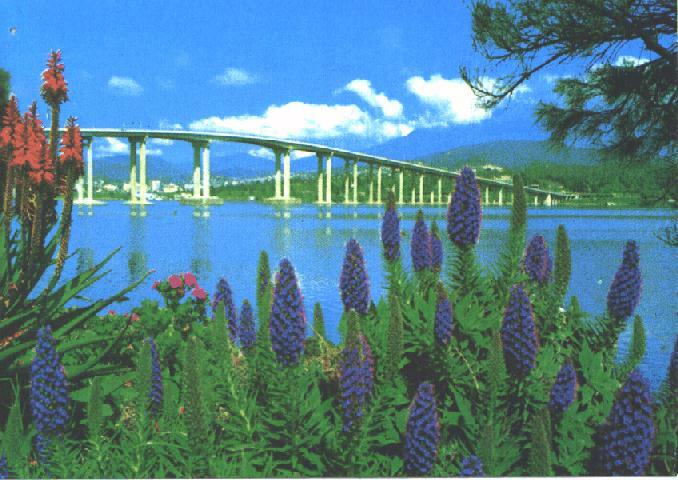 James Andrewartha (trs80) sent a postcard from Esperence, where he spent 10 days without the internet. 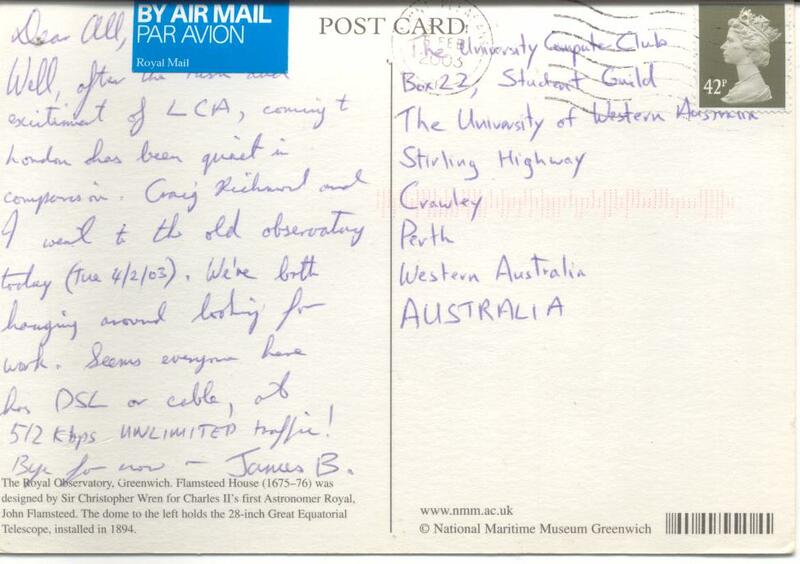 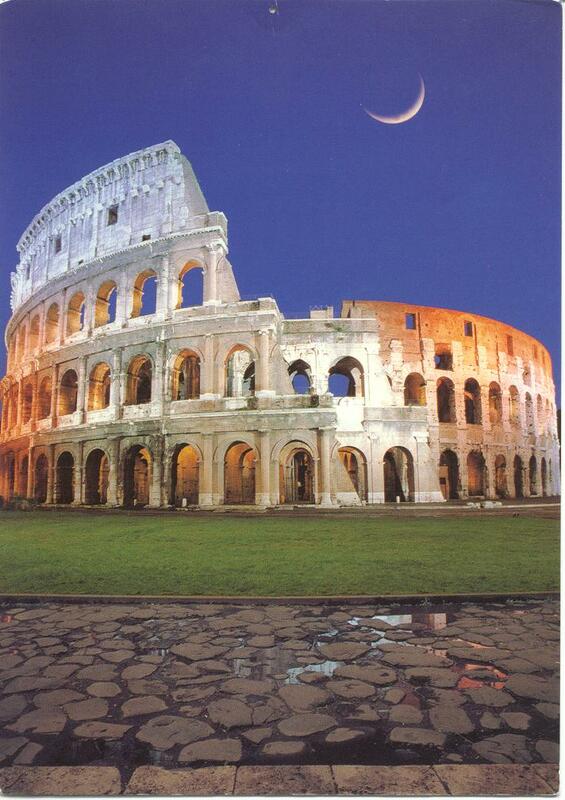 James Bromberger sent a postcard from Rome, while on his way to England. 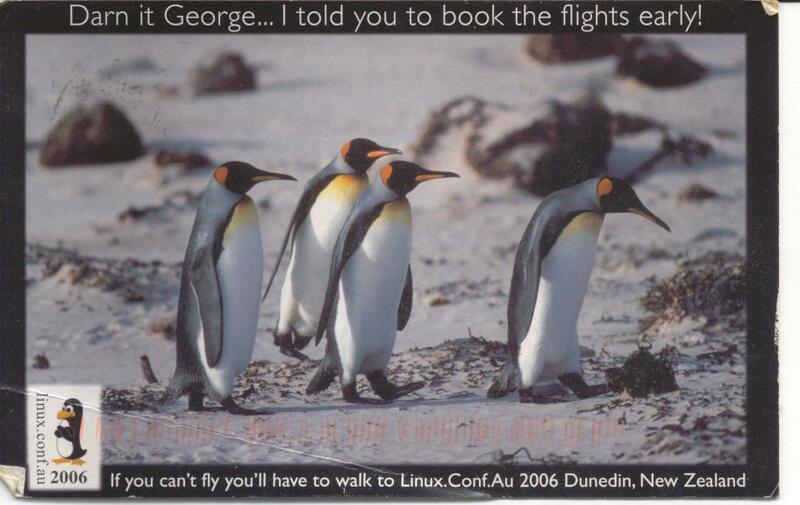 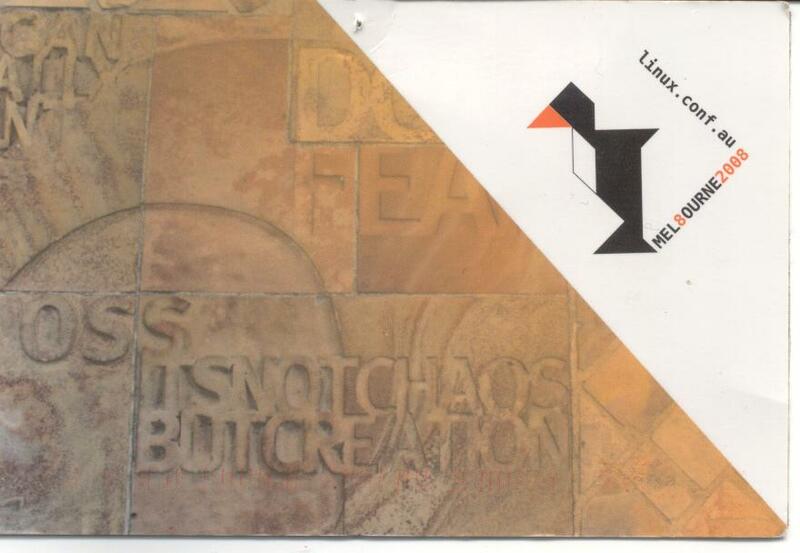 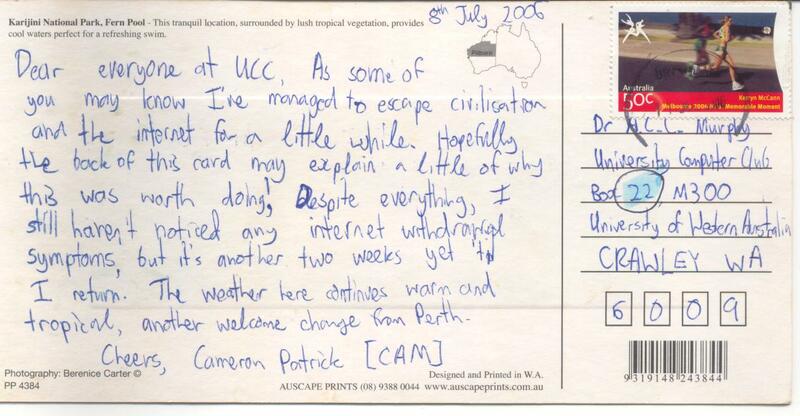 Those at linux.conf.au in Canberra 2005 sent a postcard back to the rest of the club just to point out what a great time they were having (and to advertise next year's conference). 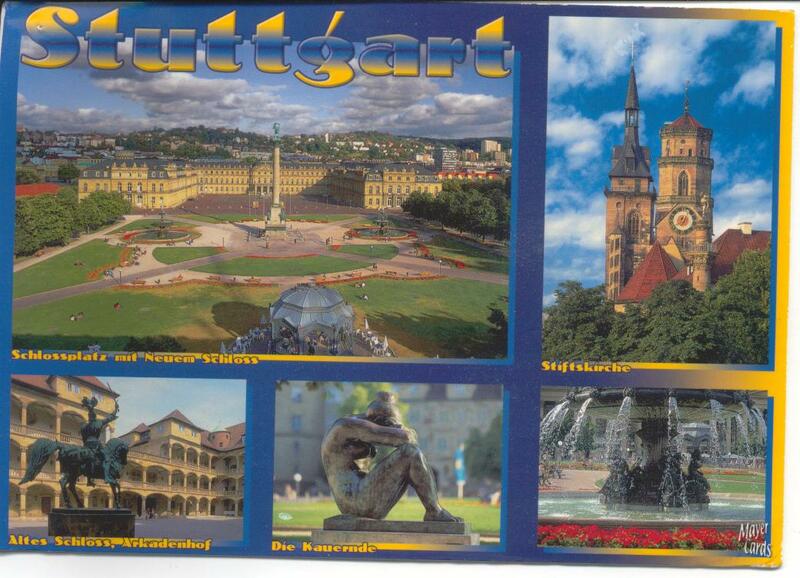 This page was generated on Sat Feb 23 20:41:03 AWST 2019 using xsltproc. 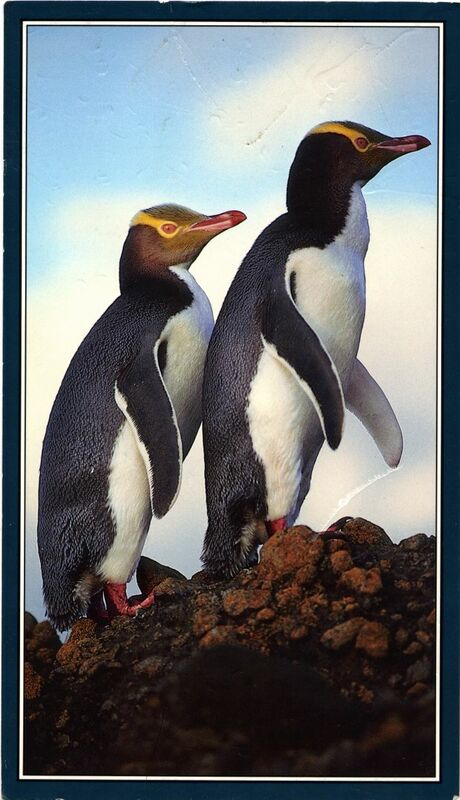 Last updated on Sun Jul 29 16:52:11 AWST 2007.